Brooke Brun and Katie Moodie had been best friends for years before deciding to start a natural product manufacturing company in 2013. Brun had been taking heavy doses of anti-seizure medications for her epilepsy, seemingly adding to her roster with every doctor check-up. Eventually, the medicine became more debilitating than the epilepsy and, after researching, she discovered cannabidiol, or CBD, an active cannabinoid found in industrial hemp and cannabis plants. Moodie, who has a background in psychology and an interest in natural and organic products, came to the rescue. After much research, she formulated an oil with CBD that provided much needed relief to Brun. 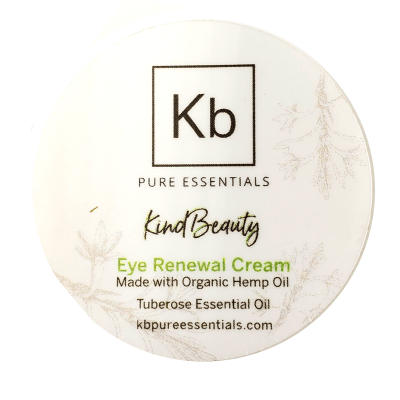 Deciding this should be accessible to everyone, Brun and Moodie found a supplier of organic hemp in Colorado and began producing oil and San Diego-based KB Pure Essentials was born. Now a company bent on educating people and removing the stigma from cannabis use, they ship nationwide. PACIFIC recently checked in with Moodie to get the low-down on one of the buzziest substance on the market. KATIE MOODIE: CBD is an active cannabinoid found in industrial hemp and cannabis plants. Cannabinoids are chemicals found within the flower, leaf and stem of the hemp and cannabis plants. CBD or cannabidiol offer an array of amazing health benefits. Our CBD comes from organic hemp plants, which contain higher levels of CBD and lower levels of THC. CBD does not produce euphoria or intoxication, according to the National Institute on Drug Abuse. Is this a good thing to take if someone wants to feel high? First off, let’s clear up any misconceptions and concerns over this question: CBD is non-intoxicating and will not make you feel high. It does, however, have many neurological benefits, such as anxiety relief, without causing impairment or intoxication. The intoxicating effect in the cannabis plant comes from THC — the active cannabinoid that makes your feel high. This is often where the confusion comes from when it comes to cannabis vs. CBD. It should be noted that anything could have a negative effect if abused. Theoretically, too much CBD could have a similar effect as too much caffeine — it may make you feel weird, but not intoxicated. What does using CBD feel like? When taking the right dosage, which may vary for every individual, CBD does not hinder our ability to function normally. However, for the rest of us, it has a calming effect. Tension should melt away within minutes. In our personal experience it is similar to taking an ibuprofen, but with the added benefit of relieving anxiety without any unwanted side effects. It can have a mild tranquilizing effect, so we suggest trying it at home the first time just in case you feel like taking a nap. Most of our customers take it throughout the day, on a daily basis, so it really depends on the individual. What are the best ways to administer CBD? CBD can be used internally as well as externally. When used internally, it has more of an anti-inflammatory and neurological effect. 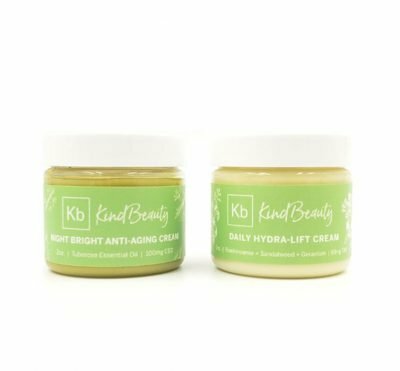 When used topically it helps ease pain and can repair the skin like no other products on the market, though it is not yet FDA approved as an effective cure for anything. 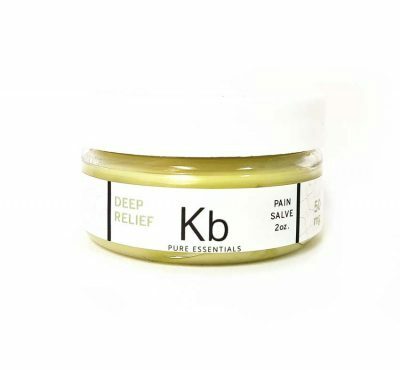 Our Deep Relief pain salve is one of our best sellers and is often referred to as the wonder cream by our customers. The founders of KB Pure Essentials, Brooke Brun (left) and Katie Moodie. What are the suspected and/or proven medical benefits of CBD? There are currently thousands of research studies, which are mostly done outside of the United States due to federal regulation. They are showing very promising results. As of yet, the FDA has not approved the use of CBD therefore, we really aren’t allowed to say. 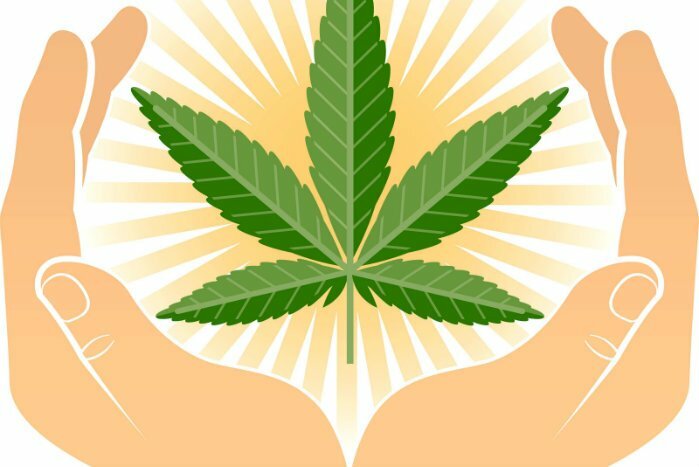 However, we can share that our customers have chosen to use it in the areas of pain management, inflammation, insomnia, tremors, anxiety, depression and more. For more information on health benefits, we encourage everyone to check out projectcbd.org. Why should consumers trust your products? This industry is still very unregulated, so when buying cannabis products, you do not always know what you’re getting. We understand that quality is everything when it comes to anything we put on, or in, our bodies so we wanted to create a high-quality, handcrafted line of products that are rooted in science and the medicinal benefits of CBD. 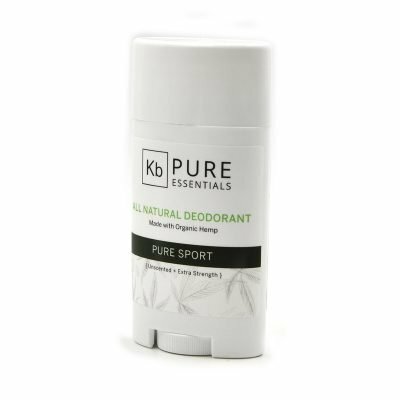 Additionally, KB Pure Essentials uses a third-party laboratory specializing in cannabis testing for all products. The things to watch out for are accurate potency, heavy metals, pesticides and molds. KBPE does a full screening of all our products before they hit the shelf to ensure quality control and effectiveness. What else should consumers know about CBD? There are still some unique challenges when it comes to the cannabis and hemp industry. Businesses like ours are extremely limited on how we are allowed to market our products, as well as how we can accept payments. The cannabis industry still has a long road to becoming federally legal.